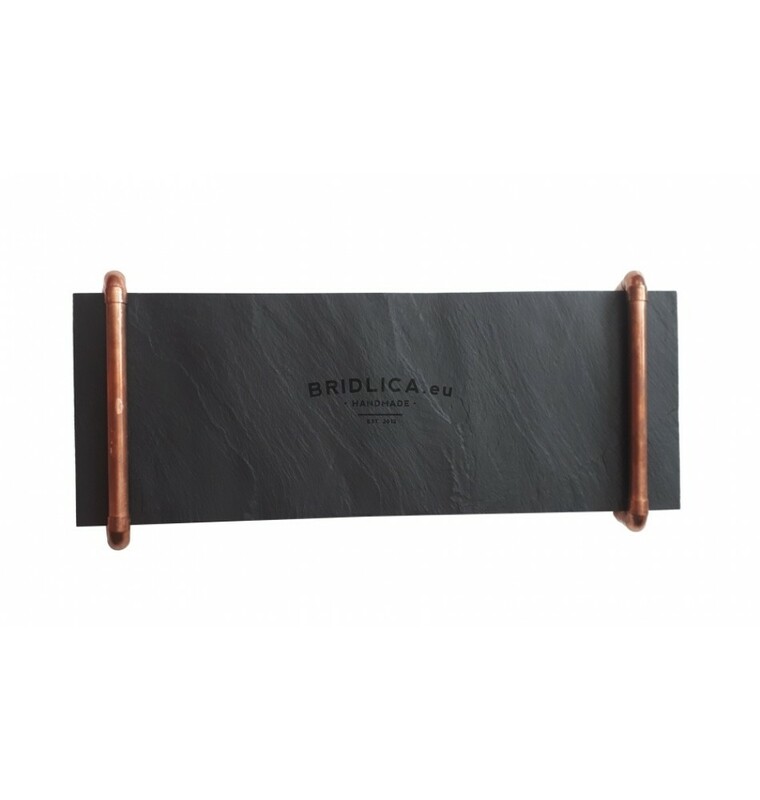 Slate Platter INDUSTRIAL 40x18 cm type D.
A special platter from the natural slate will definitely be removed in an industrial-style space, and even more than a kitchen and dining supplement for serving sushi, sweets, cakes, bonbons, pralines, fruits, biscuits, canapé. Believe it will surely be unpredictable. 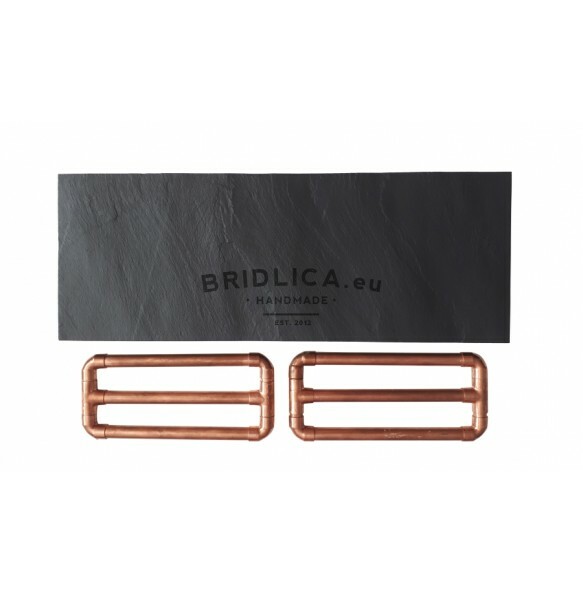 The combination of black slate, the reddish copper structure and the beautiful colored candies or desserts create perfect color matching. 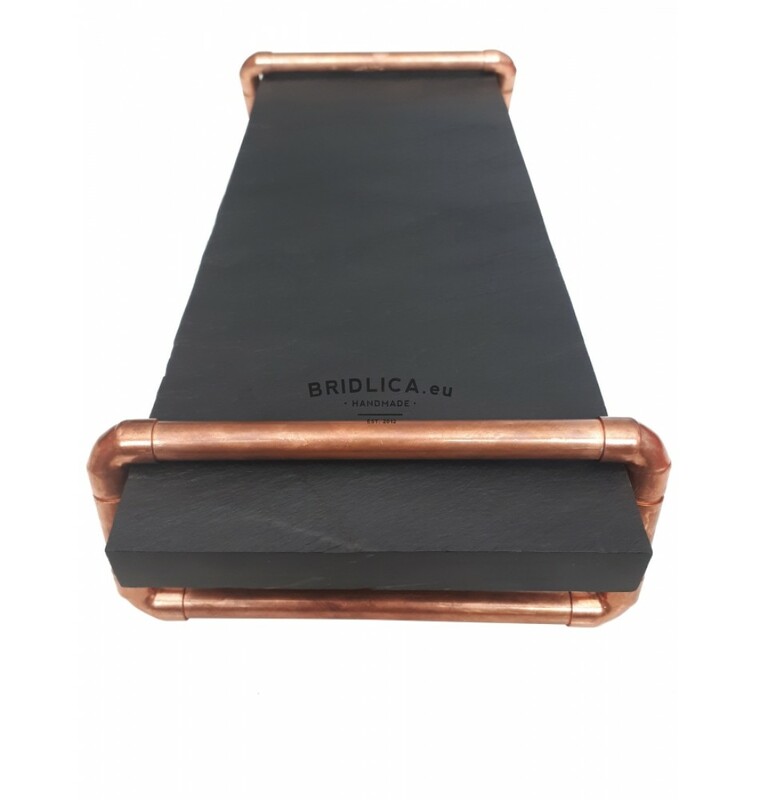 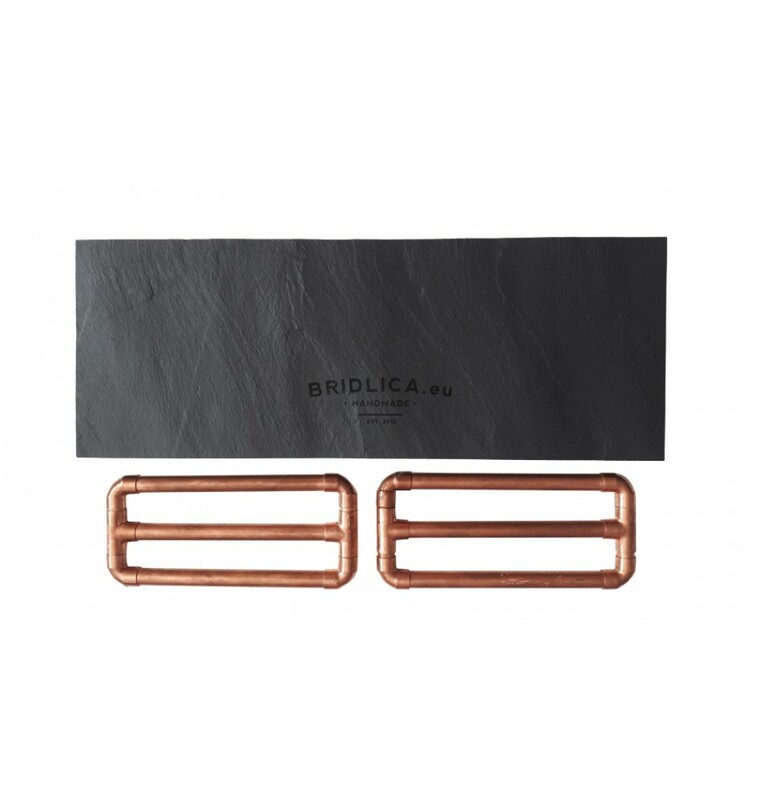 The slate thickness of about 20 mm gives the tray a degree of solidity and stability. 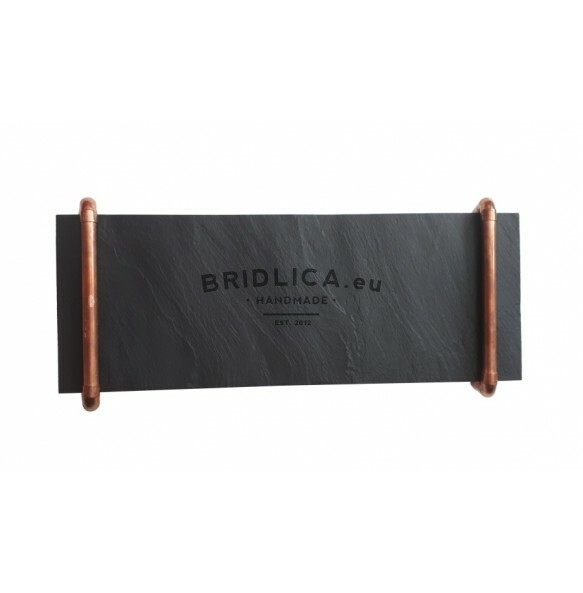 Slate is treated with natural edible oil that creates "nano effect". 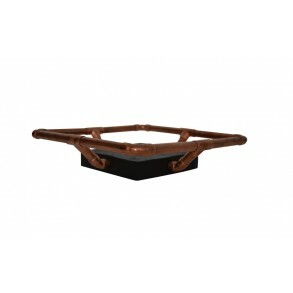 It repeals oil, grease and liquids. 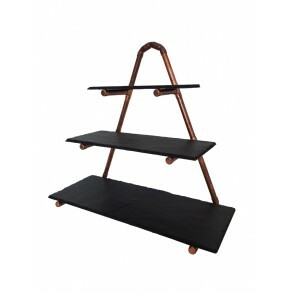 Note: The structure is not firmly connected to the shingle plate. 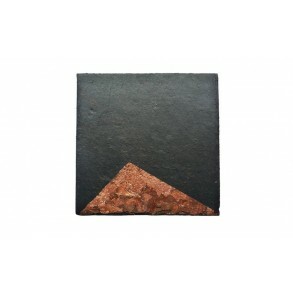 Slate Platter INDUSTRIAL 23x21 cm type A. 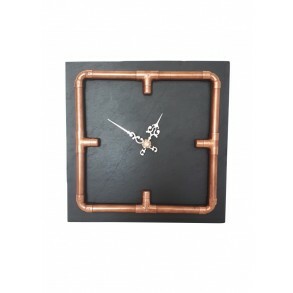 Slate Wall Clock INDUSTRIAL 24x24 cm type A. 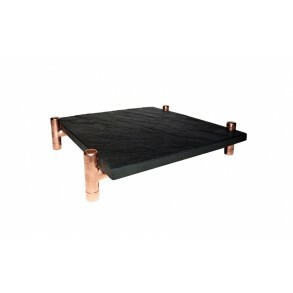 Slate Saucer, square, goldmedal, 1 piece, 11x11 cm, type A.